Missouri Education Watchdog: Teenager Expresses Her Thoughts about Common Core through Art and Language. Teenager Expresses Her Thoughts about Common Core through Art and Language. Don't get caught in the riptide of bad education reform. Get out of that school of fish! A 13-year old girl drew this poster about her feelings on Common Core and is reprinted here with permission. Art and the Common Core – The powerpoint presentation from an Education Week webinar about arts integration within the Common Core, featuring Susan M. Riley and Lynne Munson, and moderated by Erik Robelen. Guiding Principles for the Arts: Grades K-12 – Developed by David Coleman, this is a discussion of the ways in which arts education intersects with the Common Core areas. Common Core: What are the Possibilities for the Arts? – A webinar hosted by Grantmakers in the Arts and conducted by Julie Fry and Richard Kessler regarding the implications of the Common Core for arts education. The presentation slides are also available separately. Creativity, Critical Thinking, and the New Common Core State Standards – A symposium co-hosted by the Los Angeles Unified School District Arts Education Branch and the Museum of Contemporary Art, bringing together school leaders, teachers, and educators from arts organizations to discuss the impact of the Common Core on their work. The Common Core State Standards and its Implications for the Arts – A webinar addressing many questions surrounding how the implementation of the Common Core affects the arts. NCCAS Framework – This graphic provides the overarching framework adopted by the NCCAS team to guide the creation of the new standards. Proposed Standards Detailed Consensus Document – A detailed description of the goals of and outcomes expected from the development of the new art standards. Embedding Enduring Understandings, Essential Questions and Cornerstone Assessments into the New Core Arts Standards – A webcast by the NCCAS writing team to answer questions regarding the new arts standards. A transcript of the Q&A section is also available. A Review of Selected State Arts Standards – Completed by the College Board and NCCAS, this document examines and compares the arts standards in Colorado, Florida, Michigan, New Jersey, New York City, North Carolina, Tennessee, and Washington. National Standards for Arts Education (1994) – A useful tool from the Kennedy Center for exploring the national arts standards proposed by the Consortium of National Arts Education Associations in 1994, and accepted by 49 states. Do you think her message would receive a passing grade under ELA standards? Did you know there are international standards being developed for art? Do you think a student under international standards will be allowed to "swim" where it wants? 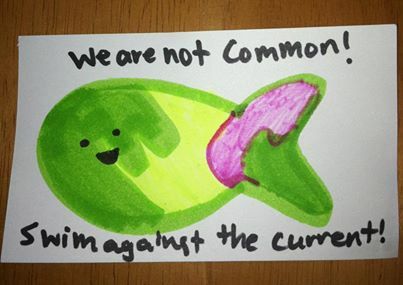 Become a Happy Warrior like this anti-common core fish. SWIM AGAINST THE CURRENT. Advise your student to do the same. Wouldn't this look great on a t-shirt? I want 2 shirts, one for each of my kids! I would also love 2 t-shirts!!! I hope they actually make them :)Way to go!!!! The answer to "will she be allowed freedom of express" is NO. It's well documents in this country that children are not given Constitutional rights until they turn 18. 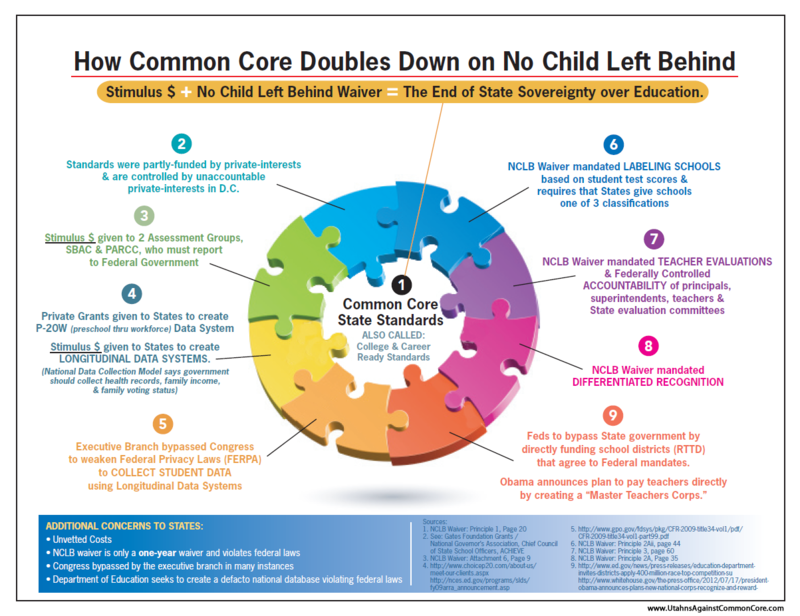 CCSS is Gates Led Not State Led -Why Care Now?